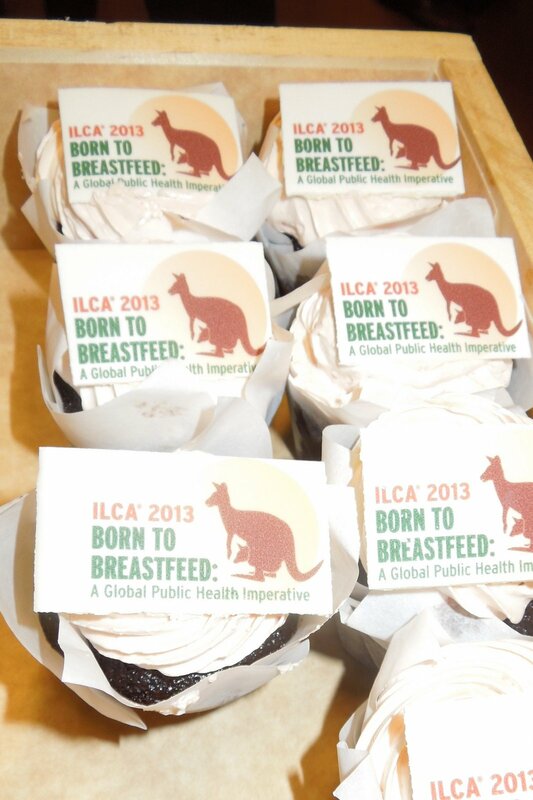 My first encounter with the International Lactation Consultant Association® (ILCA) was in the form of an email when I had just become an IBCLC. It was invitation to a trial membership, which of course I accepted. Although I did look around the articles online and found the information sheets invaluable, I thought naively that it looked like an interesting AMERICAN organization but too far across the Atlantic sea to be valuable to me in Great Britain. A set of coincidences allowed me to embrace ILCA and become an avid fan! My inlaws celebrated their Jubilee anniversary in Tampa, Florida in July 2012. 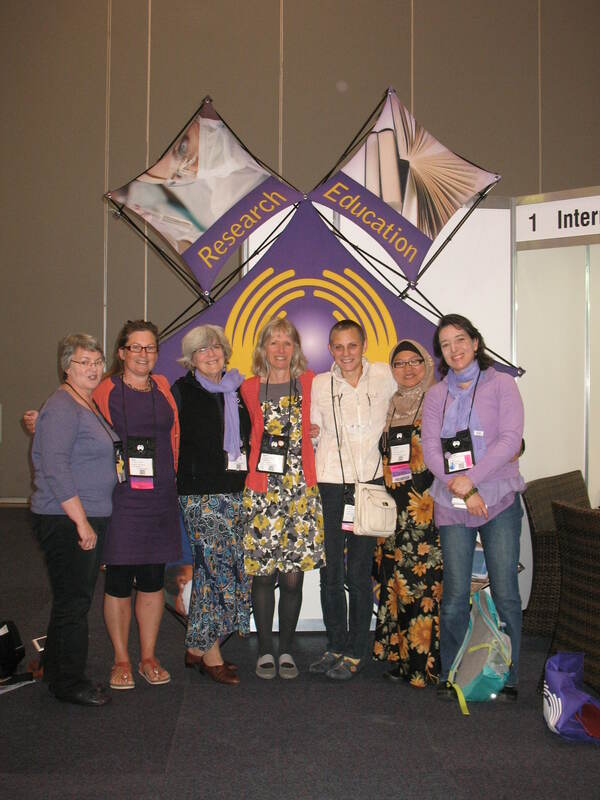 I had received the information about the 2012 ILCA Conference which looked amazing but again seemed quite unreachable. But then it clicked to me that I was going to be in Tampa just a few days before the conference in Orlando! My first moves were to see if I could fit the days into our itinerary, enroll as a member of ILCA to get a great deal for the conference, and apply to Lactation Consultants Great Britain (LCGB) for some funding. All three tasks were completed quickly and successfully and I was off to Orlando for the conference. It was mind blowing! Luck was on my side as the oral skills sessions were full as I had signed so late so I attended the Spanish sessions, which I thought were incredibly well presented. In the first session I actually sat next to Roberta Graham de Escobedo, without realizing the role she played on the ILCA Board of Directors. 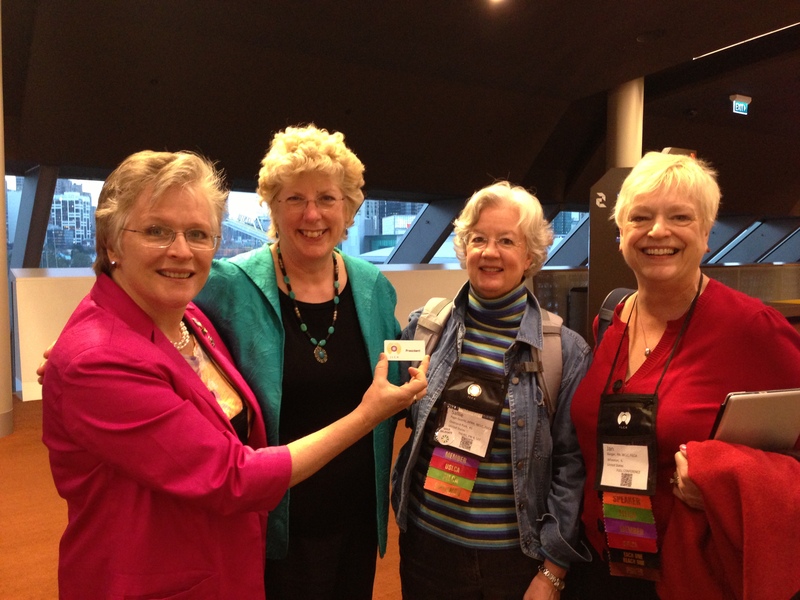 She was so welcoming and warm, no wonder she is in charge of ILCA memberships! I remember thinking after the morning session, “This has already been so worth it! Thank be to God for all these coincidences!” The following day were the plenaries and I just could not believe how so many people together could share the same interest and passion as me! I said hello to people I had met in the past and enjoyed all the networking from the International delegate gathering and meeting the Hispanic community. Being Mexican, married to a Peruvian/Italian/American citizen, having lived all over the world because my father was a Diplomat, and now residing in the UK, you can imagine how I feel like a true citizen of the world. I came out of the conference feeling exhilarated, refreshed and uplifted. There are around 26,000 IBCLCs working around the world today, and only 423 of those are in the UK. The National Health Service has yet to recognize us so although there is a lot of work to be done nationally, it sometimes feel we are riding solo into the battle. I was really impressed as the group of IBCLCs in Orlando felt like a more cohesive united group with a true international presence from different fronts. I swore that, if in the future, I had money to attend breastfeeding conferences, my priority would be on those produced by ILCA. 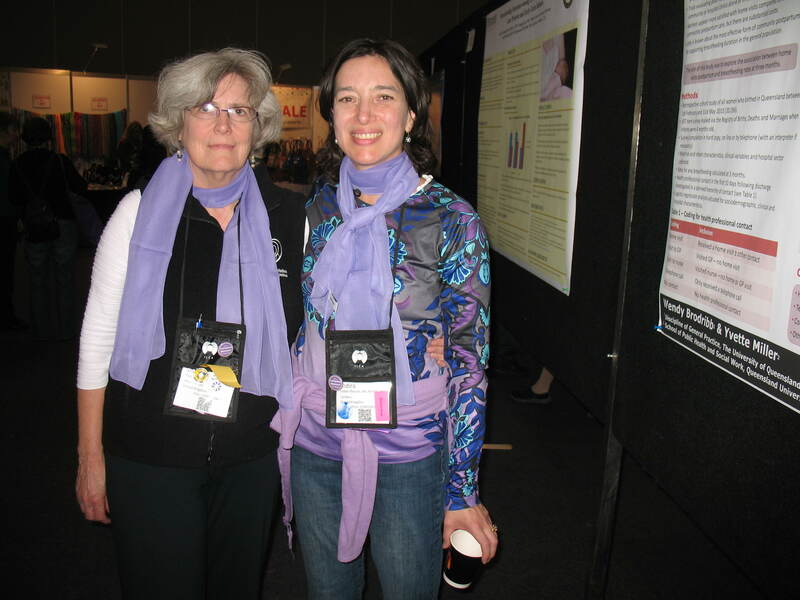 The following year after I attended, I revisited the ILCA website to stay connected and read voraciously every Journal of Human Lactation I received through my subscription. There are coincidences in life and we use them to craft our destiny. My next set of coincidences came in the form of another email I received, a reminder about the ILCA conference scholarships. I had no idea ILCA offered any type of scholarship. 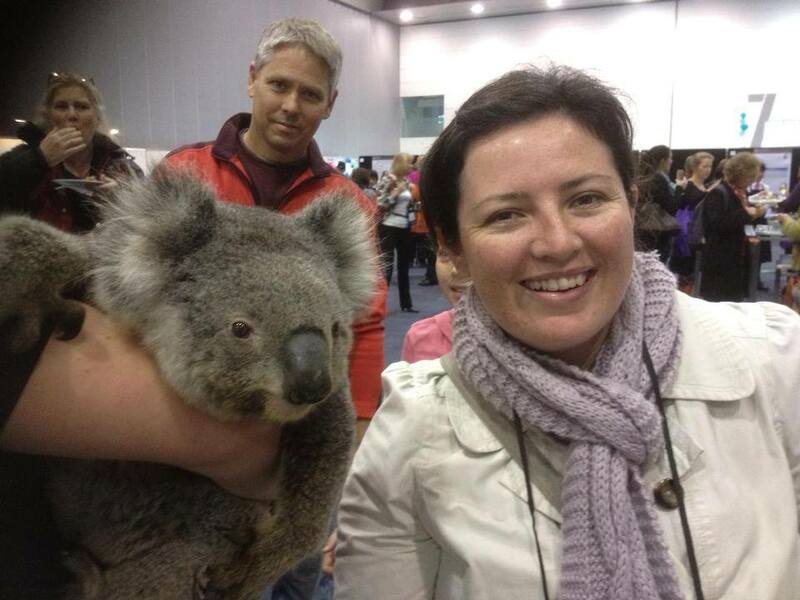 I still thought the 2013 conference in Melbourne, Australia was way too far away and expensive, so I didn’t imagine I could attend, even in my wildest dreams. But, I took a risk and emailed Glenna Thurston, who was in charge of ILCA Membership Development, to ask her about the application form and process as I might apply in the future to another ILCA Conference in the US which is closer and more accessible economically to London. Glenna kindly explained the process but did encourage me to apply to Melbourne anyway. I did so and was awarded a scholarship! I again applied to LCGB for a bit extra funding and I was able to cover airfare and the remainder of the conference fee. To make my trip possible, a friend of a friend that lived in Melbourne kindly opened his home for that week. Two consecutive years, I was able to attend the ILCA Conference and I felt like I was in heaven. I enjoyed tremendously the whole experience. Before the conference started, I went on the guided tour to the Sanctuary where we saw Australian native species and learned about some of their mammal’s breastfeeding experiences. One of the IBCLCs shared that kangaroos make pink milk but none of the zoologists onsite could confirm that for us. I enjoyed most of the sessions that I attended and found Linda Smith to be a wonderful presenter with a great sense of humor. Influenced by her, I will definitely be adding more humor to my teaching and presentations in the future. Nils Bergman’s presentation was also fantastic and particularly useful to have science affirm what we have known for millennia about attachment and separation. This year, I, like many others, volunteered to help out at the Conference. I was a bit nervous the first time I stood in front of everybody to introduce the speaker but soon it became second nature. I had a strong gut feeling that, although I am, like we say in Spanish still a bit “fresh like a lettuce”, the day will come that I will be a presenter. 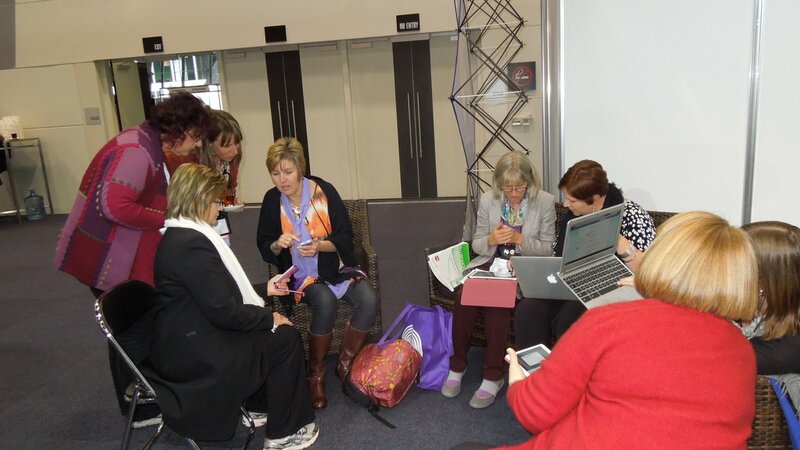 The pinnacle of the Melbourne Conference for me was a session I attended as part of the Oral Skills rotating session on supporting mothers with voluptuous breasts, presented Gini Baker and Decalie Brown. Gini asked for two volunteers to pretend they had voluptuous breasts and were having breastfeeding problems.It was slightly embarrassing but on the funny side as she made us feel all so comfortable. She reminded us gently that we were all on the same boat: the sisterhood. That was a highlight, an “aha” moment for me. It is truly a wonderful sisterhood, as we all speak the same language, we are all passionate about what we do, we are fanatics about supporting breastfeeding families, and most important of all: united we are stronger! Joining ILCA is much more than getting a membership. It is also about being a part of the sisterhood of wise, passionate, bright women that are changing the world one breastfeeding baby and mother at a time. If after reading this article you have been gently persuaded to become an ILCA member, please mention me through the Each One Reach One Campaign. The purpose of this campaign is to increase membership by spreading the word. Who knows? 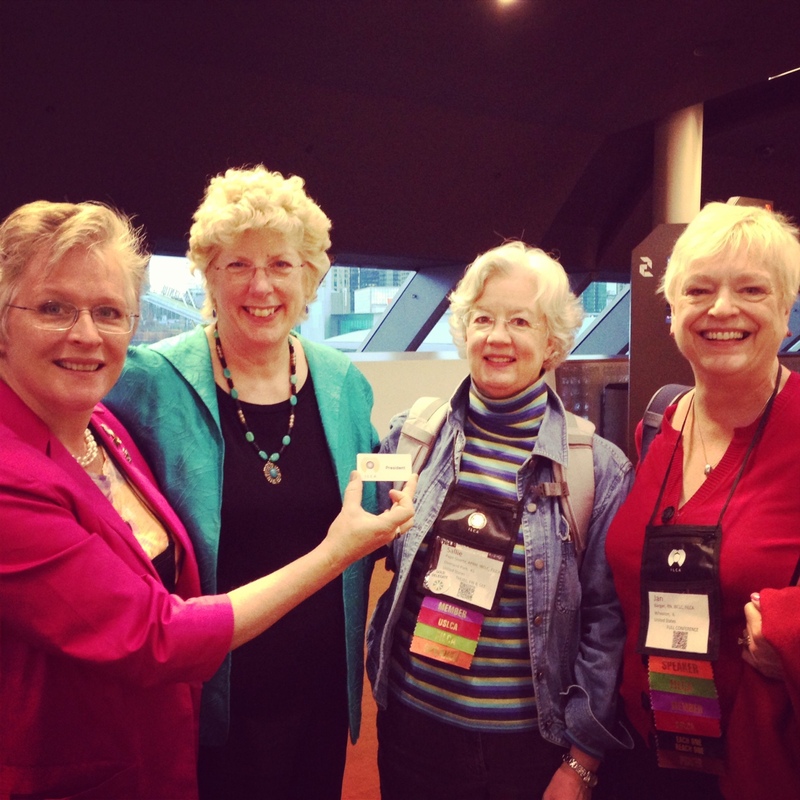 Your support may help me to attend a third ILCA Conference in the future. 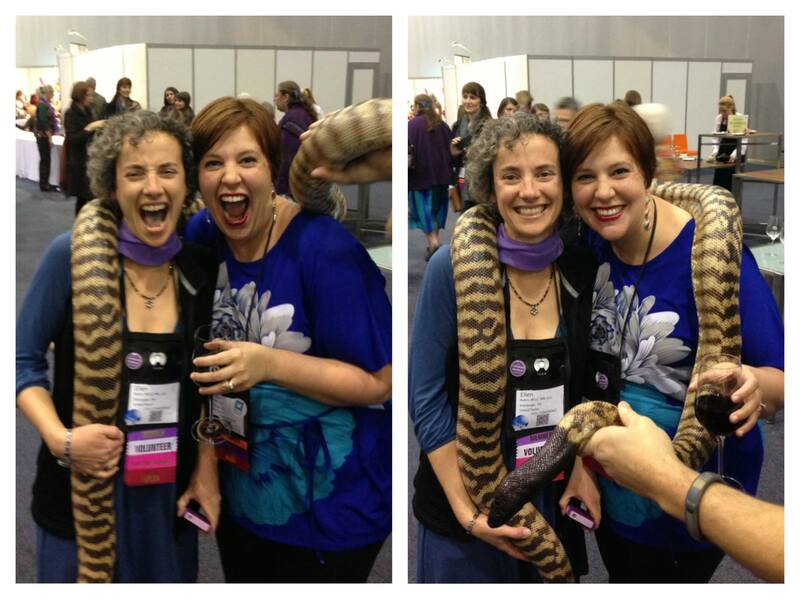 Here a just a few of the amazing photographs taken at this year’s ILCA Conference in Melbourne, Australia. Enjoy! Delegates were provided with wonderful lunches. We look forward to having you all join us next year for our 2014 ILCA Conference in Phoenix, Arizona, USA! 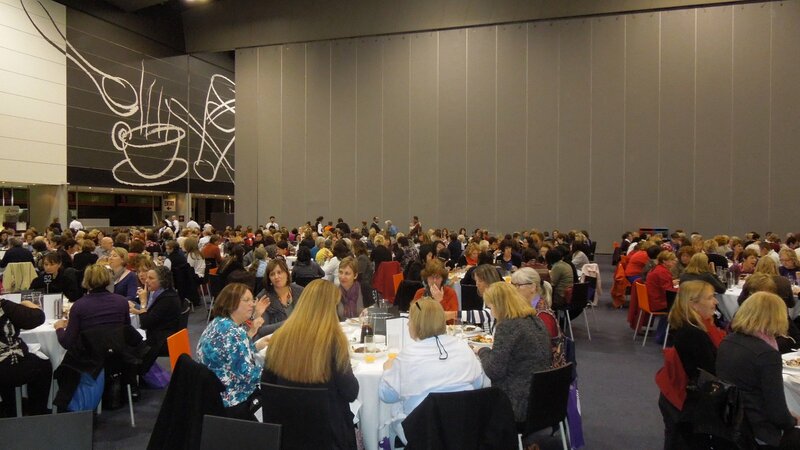 Thank you to all attendees for making our 2013 ILCA Conference in Melbourne a grand success. There were 583 attendees from 29 countries and the wealth of experience and wisdom was incredible. Please stay posted to this space in the coming weeks for a summary of our annual general meeting, where the ILCA Board of Directors shared both their goals and their strategic plan for the future of the organization. There are exciting events and initiatives to watch for as we move forward to support IBCLCs all over the world. Thank you, especially, to all of those around the world who participated in the conference by using the #ilca2013 hashtag on Twitter. The conference generated 916 tweets with a reach of 135, 105 people. We hope you will make plans NOW to attend our 2014 conference in Phoenix, Arizona, USA on July 23-26. You won’t want to miss it! 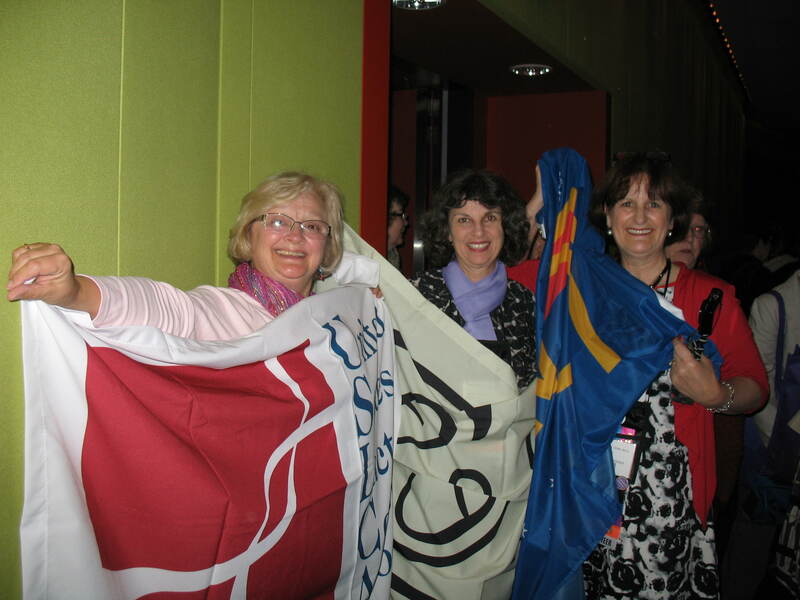 Saturday at the ILCA 2013 Conference was the day for MOVING & GROOVING! Attendees got their early morning exercise with a bit of “shift and squish” with Pat Martens, as she explained both the techniques of quality research as well as the incredible body of evidence that supports breastfeeding. Her talk was followed by the “ever energetic” Liz Brooks who entertained and educated us all on how to ethically and thoughtfully support today’s modern family. 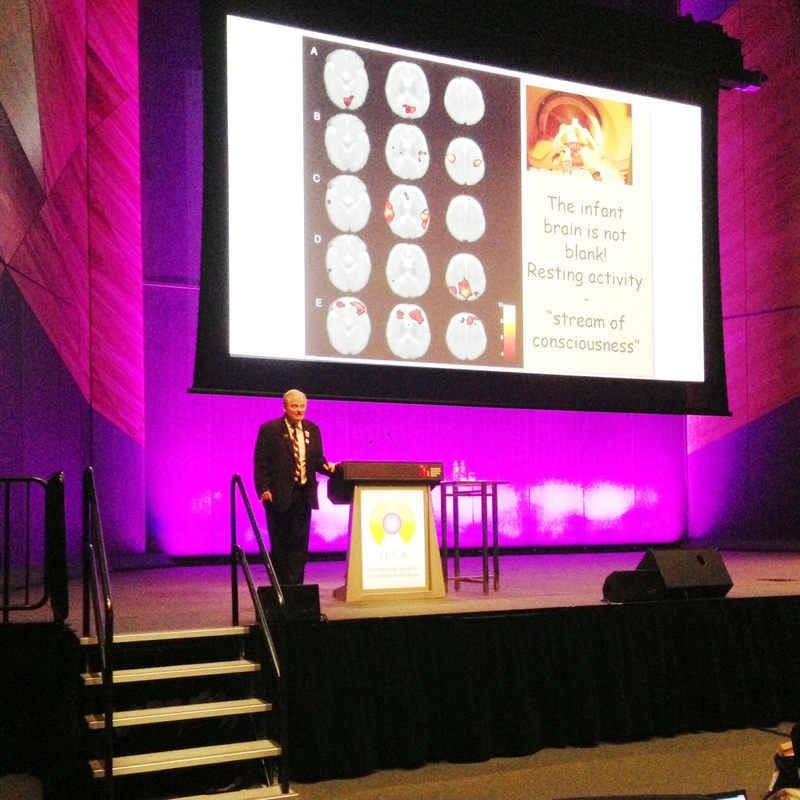 Morning tea with poster presentations, a 2nd amazing plenary with Dr. Howard Chilton, and a fantastic boxed lunch rounded out the early part of the day. The remainder of the day was spent in a wide variety of concurrent sessions on a number of exciting topics. We were also able to celebrate with the presentation of the inaugural Patricia Martens Award for Excellence in Breastfeeding Research, award by the Journal of Human Lactation, to none other than…(drum roll, please)…Patricia Martens! Dr. Anne Merewood gave an inspiring insight into the impact that Dr. Martens has had on the work that we all do with mothers and baby. Congratulations, Patricia Martens! No matter where you are in the world, you can be a part of the action but using the #ilca2013 hashtag on Twitter or you can follow the live Twitter stream HERE. What a fantastic day! We began our morning with the annual Parade of Flags and a traditional aboriginal welcome from a representative of Warundjeri Council. She is the youngest of 16 children and said “there was a lot of breastfeeding going on in our home”! We were also treated to research, thoughts, and hilarious moments with Nils Bergman, who shared of the neuroscience of birth and breastfeeding, Linda Smith who wowed (and frightened) us about how current birth practices dramatically impact breastfeeding, and Howard Chilton who encouraged us to think about how we feed infants and the impact it has on their future health and risk for obesity. After a very flavorful lunch, it was on to a full afternoon and early evening of concurrent sessions. It was exciting to hear conversations in the hallways of all the wonderful information being learned. We even got to catch up with some great groups of people in conversation, including four ILCA presidents, both past and current, all in one place! ILCA’s 2013 Conference kicked off in a big way on Thursday, July 25th with 5 tracks of workshops highlighting communication techniques, research, clinical practice, professional practice, and clinical skills. At break times, attendees were abuzz with new information, new ways of connecting with breastfeeding families, and new ideas to take home. Speakers such as Cathy Carothers, Nils Bergman, Liz Brooks, and Linda Smith helped keep us all on the edges of our seats. The day concluded with a fantastic President’s Social and the opening of our exhibition hall. 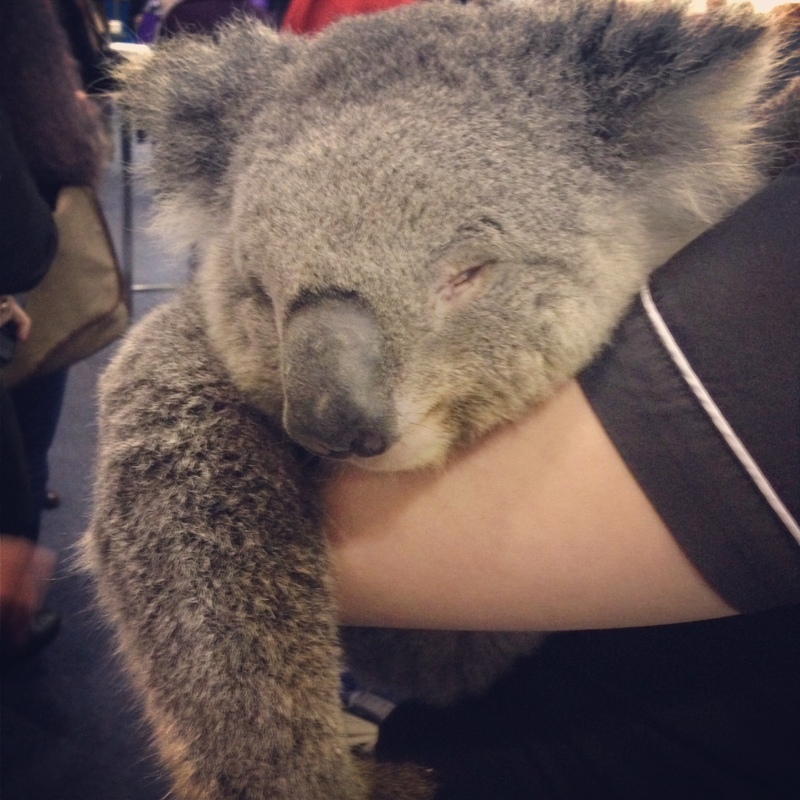 The highlight for everyone was the visiting zoo which included a koala, black-headed python, tawny frogmouth, blue penguin, and a wallaby. No matter where you are in the world, you can be a part of the action but using the #ilca2013 hashtag on Twitter or you can follow the live Twitter stream HERE. During the weeks leading up to the 2013 ILCA Conference, we have been highlighting a number of conference speakers. As we wrap up this feature, we’re eagerly anticipating the start of our 2013 Conference! 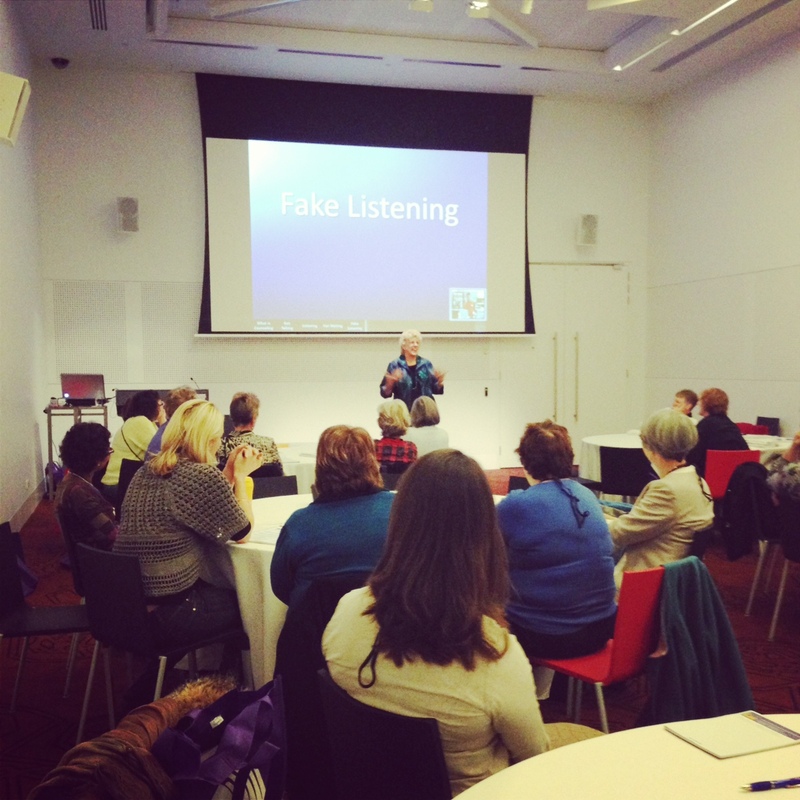 We are so pleased to have Linda Smith as one of the speakers at our conference in Melbourne in just a few short days! Linda J. Smith, MPH, FACCE, IBCLC, FILCA is a lactation consultant, childbirth educator, author, and internationally-known consultant on breastfeeding and birthing issues. 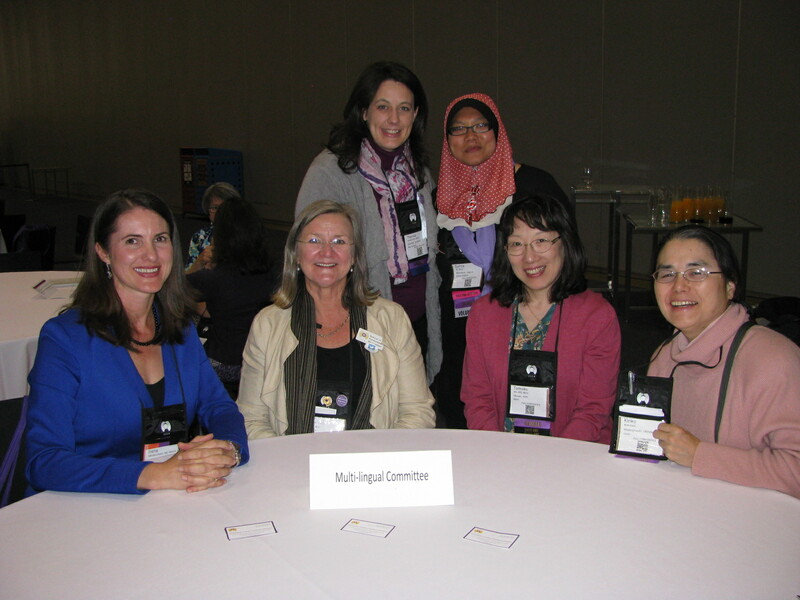 Linda is ILCA’s liaison to the World Health Organization’s Baby Friendly Hospital Initiative and consultant to INFACT Canada/IBFAN North America. 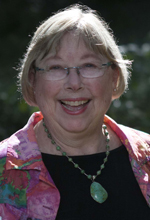 As a former La Leche League Leader and Lamaze-certified Childbirth Educator, she provided education and support to diverse families over 35 years in 9 cities in the USA and Canada. Linda has worked in a 3-hospital system in Texas, a public health agency in Virginia, and served as Breastfeeding coordinator for the Ohio Department of Health. Linda was a founder of IBLCE, founder and past board member of ILCA, and is a delegate to the United States Breastfeeding Committee from the American Breastfeeding Institute. Linda earned her Masters Degree in Public Health through the Boonshoft School of Medicine at Wright State University in 2011. She owns the Bright Future Lactation Resource Center, whose mission is “Supporting the People who Support Breastfeeding” with lactation education programs, consulting services, and educational resources. On Friday, July 26th, at 10:15am, Linda will be presenting a plenary session at this year’s conference entitled “Impact of Birth Practices on Breastfeeding: 2013 Update”. This vital session will help us to understand how lactation is tied to what happens during a family’s birth. We are so pleased to have Dr. Howard L. Sobel as one of the speakers at our conference in Melbourne in just a few short weeks. 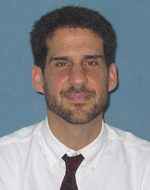 Howard L. Sobel, MD, MPH, MS is the Team Leader of the Maternal, Child Health and Nutrition (MCN), World Health Organization, Regional Office for the Western Pacific. His field of expertise includes public health, clinical, and preventive medicine. On Sunday, July 28th, at 10:45am, Dr. Sobel will be presenting a plenary session at this year’s conference entitled “The First Embrace: Action Plan for Healthy Newborns in the Western Pacific Region”. This session will focus on the importance of Early Essential Newborn Care (EENC). 4:15pm: David versus Goliath: Protection, Promotion and Support of Breastfeeding in Six Asia-Pacific Countries. We are so pleased to have Lisa Jackson Pulver as one of the speakers at our conference in Melbourne in just a few short weeks. Professor Lisa Jackson Pulver holds the Inaugural Chair of Indigenous Health, is Professor of Public Health and Director of Muru Marri Indigenous Health Unit at UNSW. 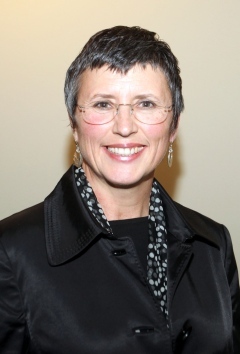 She is also a Wing Commander in the RAAF Specialist Reserve, an Adjunct Professor at UC and in 2011 was made a Member of the Order of Australia (AM). As an Aboriginal woman, Lisa is acutely aware of the lack of data or development and use of appropriate methodologies to identify underlying issues affecting the health for Aboriginal people. Along with her colleagues at Muru Marri, Lisa is working to provide that data. She is a member of a number of committees and working groups, including the Scientific Resource Group on Equity and Health Analysis and Research, World Health Organization; the Advisory Group on Aboriginal and Torres Strait Islander Statistics (AGATSIS), the Australian Health Survey Reference Group at the Australian Bureau of Statistics and is a current member of the Australian Statistical Advisory Council. She is Deputy Chairperson for AHMAC’s National Advisory Group Aboriginal & Torres Strait Islander Health Information and Data (NAGATSIHID). Lisa is a member of the Lowitja Institute, serves on the Board of her Medicare Local and is the co-founder of the Shalom Gamarada Scholarship Program, responsible for enabling over 55 students to receive a residential scholarship on campus at UNSW. On Sunday, July 28th, at 3:45pm, she will be presenting a plenary session at this year’s conference entitled “Aboriginal Health in Modern Australia: Where Breastfeeding Hits the Wall”. Don’t miss this important session! We are so pleased to have Dr. Patricia Martens as one of the speakers at our conference in Melbourne in just a few short weeks. Dr. Martens is a Professor in University of Manitoba’s Faculty of Medicine, the Director of the Manitoba Centre for Health Policy, and IBCLC since 1987 (designated Fellow of ILCA in 2011). Patricia has spoken over 300 times in the last decade, and published over 200 articles. 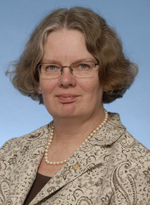 She co-edited the 2nd and 3rd editions of ILCA’s Core Curriculum, writing the chapter on statistics and research design. She enjoys making statistics and epidemiology relevant to healthcare providers. On Saturday, July 27th, at 8:00am, Dr. Martens will be presenting a plenary session at this year’s conference entitled “Breastfeeding: A Public Health Imperative”. This session will focus on the population and public health perspectives of breastfeeding promotion, protection and support.